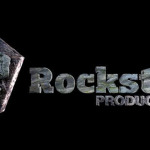 Rockstock Productions a film production company specialized in music video clips and Feature Films in Montenegro. With filling in your details in this form, Rockstock will be able to contact you, to start a long lasting co-operation. Looking for a Film Production Company in Montenegro, then look no further. Do you need help with Visa Requests or an Invitation Letter to Visit Montenegro for the first time? Rockstock can arrange all your Visa Requirements for your first time Visit, to Montenegro and help you with Location Scouting. Our Producers have strong local knowledge from the Country and are looking forward to show you all the Beauty this Country has to offer. You will be amazed by all the Natural Parks, Mountains, Clear Rivers and Stunning Beaches. Check out and follow our social media links for the most up to date information and stay in direct contact with Rockstock. If you have questions, suggestions or comments? Rockstock Productions is here to help.